How much maintenance does a hot tub need? Your dream of owning a hot tub probably didn’t involve needing a degree in Chemistry. We know from experience that questions about hot tub maintenance and chemicals fall under the “FAQs” when it comes to buying a hot tub. 1. People who were sold a hot tub and told they didn’t need any chemicals/it didn’t need any maintenance. 2. People who weren’t told about hot tub maintenance. Both end up frustrated. They realise how much maintenance is involved AFTER they get their hot tub. And the lack of preparation can result in post-purchase disappointment. 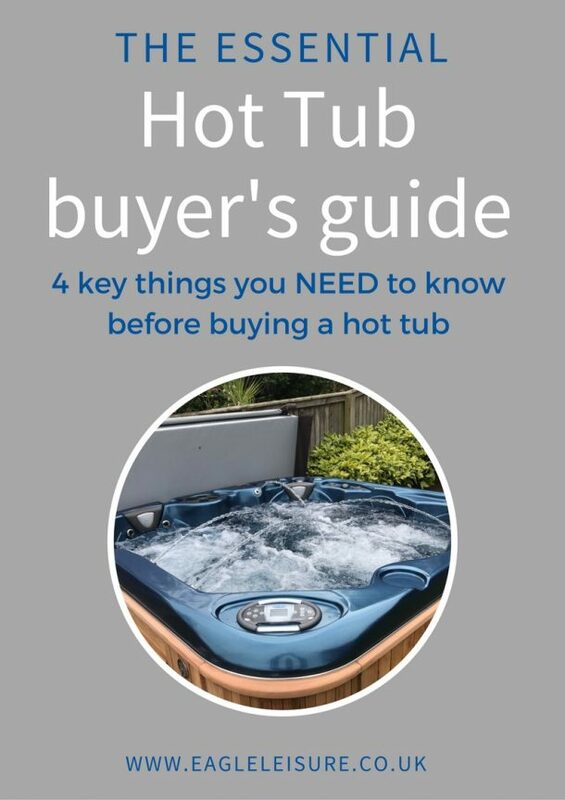 We try really hard to help our customers understand how much work will go into maintaining a hot tub BEFORE they buy. That’s not to say it is loads. But being prepared means you’ll make the purchase decision based on all the facts. The bottom line is that all hot tubs DO need ongoing maintenance and chemicals. 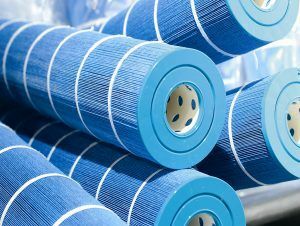 This post will help you to understand why, what chemicals you need to use and the process of checking them. The short answer is that yes, all hot tubs require chemicals. As yet, there is no way to avoid using chemicals in your hot tub. Why do I need to use hot tub chemicals? Hot tubs are a haven for bacteria. It’s the perfect temperature and environment for them to multiply. And without the use of chemicals to kill them off, your hot tub can become a playground for water borne bacteria. A good filtration system is the foundation of clean hot tub water. No amount of chemicals will make up for poor filtration. But no matter how good your filtration is. Nothing will stop dirt and bacteria coming into your hot tub. Whether it is blown in by the wind. Or comes from the bodies bathing in it. Dirt and bacteria are going to make it into your hot tub water. And this is where your hot tub chemicals come into play. They help to kill of this bacteria making the water safe and inviting for you to use. 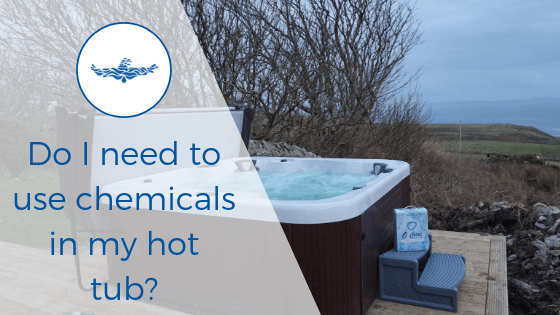 What chemicals do I need to use in my hot tub? Although your hot tub does need maintained, it doesn’t have to be complicated. The below table breaks down what you need to do, and how often. This will depend on overall hot tub usage. If you use it heavily you may find that some of these need to happen more regularly, which will result in more chemical usage. The pH levels shouldn’t vary too much. You will find that you will probably have to add some sanitiser after each use. Shocking the hot tub, cleaning the filters and adding o-care will all help contribute to overall hot tub cleanliness. And you should find that if you do these regularly your day-to day maintenance is reduced. You will need to drain the hot tub approx. every 3 months. When you re-fill you will likely need to dose all the chemicals. And finally, there are some speciality chemicals that you may need to use occasionally to target a specific problem. However, you will find that if you keep your pH and Chlorine balanced you shouldn’t need to use these too often. What do all my hot tub chemicals do? Why is it necessary to use all the above chemicals? Chlorine is the more common, and cheaper of the two. It should sit between 3-5mg/l (ppm). A well-balanced hot tub should not have a strong Chlorine odour. Bromine is equally effective as a sanitiser. However, it comes into its own in an unstable pH environment. As it is able to effectively kill bacteria even in high or low pH water. We usually recommend Chlorine over Bromine, as it is an effective sanitiser that people are familiar with. And it keeps running costs down. But if you find Chlorine is irritating your skin or eyes. Or, that you are having difficulty keeping your pH stable, we would recommend a switch to Bromine. What do pH plus and pH minus do? For your sanitisers to work effectively. And for your water to be comfortable to sit it. You will need to check the pH levels. Often people switch off Chlorine, thinking it is irritating their skin or eyes. But it can be an imbalanced pH that causes this irritation. pH sits on a scale of 0 – 14. With 0 being extremely acidic, 14 extremely alkaline. And 7 being neutral. The perfect hot tub pH level sits very slightly alkaline between 7.2 and 7.6. Oxidising your hot tub weekly destroys odours and wastes that are missed during weekly sanitation. It increases the bather comfort and restores the sparkle to the water. It can be done using a non-chlorine shock or a Chlorine based shock. O-care destroys bio film that can build up within the hot tub pipework and surfaces. Biofilm is hot tub plaque. It builds up and protects bacteria. Making it difficult to get rid of. O-care is a weekly treatment that prevents and cures biofilm. Helping to reduce the level of sanitiser needed. What is o-care spa water care? There are a couple of other chemicals that you might hear mentioned. For most domestic hot tubs you don’t need to worry about these. Calcium hardness is a measure of how hard or soft water is. Too low and it can be corrosive and cause staining. Too high, and scale will form in the pipework. Calcium hardness should be around 100-200mg/l. In most domestic hot tubs this won’t be and issue. Calcium hardness needs to be considered if you have a tile hot tub or swimming pool. Total Alkalinity (TA) helps to buffer fluctuations in pH. Low TA can cause fluctuations in pH. While high pH can make it difficult to adjust. TA should sit between 80-150mg/l/. If your pH is correct and stable, don’t worry about the TA. Always keep chemicals in their original container and keep away from children. Follow the instructions on the packaging for administering. Do I need hot tub chemicals if I have a self cleaning hot tub? If you buy a self cleaning hot tub, do you still need to use chemicals? All hot tubs are technically self-cleaning. They all have filtration and circulation systems. So yes, they all need chemicals. Even the self-cleaning ones. Hot tubs that are sold as “self-cleaning” usually have a built in sanitiser dispenser. This will reduce the manual addition of chlorine of Bromine. But the testing, and the addition of all the other chemicals will remain the same. There is no way around testing and dosing of hot tub chemicals bar paying someone to do it. Chemicals are always necessary for your hot tub. There is currently no way around it. They keep the water safe and comfortable to sit in. If you fancy a hot tub but don’t like the idea of adding the chemicals yourself, you can pay for regular maintenance to be carried out. Do I need a regular hot tub service?